Among the many reasons to visit Japan, the country’s jaw-droppingly photogenic temples and shrines are one of the biggest draws. There are over 70,000 Japanese temples and a further 80,000 shrines, so it can be hard to know which to visit. Fortunately they have proven the perfect muse for professional photographers whose work can lead the way! Here we present 8 stunning photos of Japanese temples and shrines, which you may not have had a chance to visit before. Enjoy the artistry, and don’t forget to add these to your itinerary. Against the backdrop of the fantastic Nachi Falls and the mist-strewn mountains of Wakayama, the imposing Kumano Nachi Grand Shrine looks like the set of movie. Each morning priests from the shrine make an offering to the kami Hiryu Gongen, an incarnation of the Buddha who is said to inhabit the 133 meter waterfall. These falls are a little out of the way, but the mountains of Wakayama have drawn pilgrims for centuries, and the experience of following their paths will be something you will never forget! Hidenobu Suzuki’s emotive photography draws out the magical in scenes of the Japanese landscape. Enjoy more of his work among the Japanese Photographers you Should Know. Hours: 8am to 4pm. See more details here. In the shallows of Japan’s largest lake just north of Kyoto, the torii gate of Shirahige Shrine stands as a monument to the sacred world. Visitors to Lake Biwa can surely experience a sense of this world, so beautifully portrayed by photographer Hisa. You can see more of his work at the Instagram account @ag.lr.88. Hours: 8am to 5pm. See here for more details. Architect Tadao Ando was tasked with creating a sense of serenity around this 13.5 meter statue of the Buddha near Sapporo on the island of Hokkaido. His ingenious solution was this lavender hill which rises up from the surroundings to envelop the statue. Visitors enter through a tunnel leading into the central prayer hall from where the Buddha looks down, haloed against the empty sky. Hours: 9am to 4pm (10am to 3pm from November to March). See more transport info here. The Buddhist temple of Daigoji in Kyoto is renowned for its brilliant red autumn leaves, so if you’re luck enough to visit this time of you, you should definitely include these temple gardens! 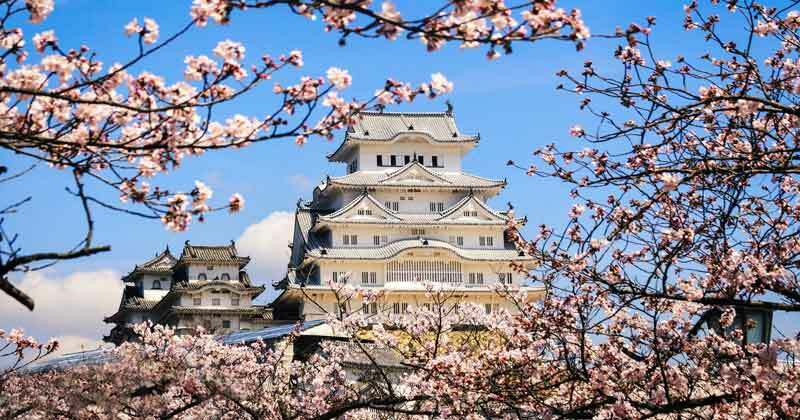 The complex also contains the oldest surviving building in the city, in the form of a five-storey pagoda, which has survived fire, earthquake and war for over ten centuries. Hours: 9am to 5pm (4:30pm from December to February). See more details here, or the temple’s own website. Any visitor to Japanese temples or shrines will be struck by the beauty and intimate design of the grounds. In fact the gardens are as much a part of the architecture as the buildings themselves. The Buddhist temple of Kyorinbo was first found 1400 years ago, but stood in disrepair for many years until the current chief priest, Koshin Hirobe, undertook its restoration almost single-handedly. Today worshippers at this secluded temple can enjoy the enviable tranquility and natural beauty that he helped to carve out. Experience more of this photographer’s work at the Instagram account @ig_haruchan. Hours: 9:30am to 4:30pm, weekends only. See more travel information here. Chureito Pagoda has become one of the most sought-after locations from which to admire the majesty of the sacred Mount Fuji, and from this perfect shot by Kohki, it’s not hard to see why. The Pagoda itself is only 50 years old, and was built as a peace memorial. Enveloped in warm pink cherry blossoms in the spring, it seems like an ideal spot to enjoy the calm and serenity of a Shinto shrine. Hours: 7am to 7:30pm. Find out more here. If you’re looking to take in the temples in Kyoto, make sure you give yourself plenty of time, as there are 1600 to choose from! It could literally take a lifetime to discover the city’s magnificent shoji screens and countless stunning gardens. This photo from Kohei Shimizu is a small artistic temple to add to your itinerary. Enjoy the enchanting Shoju-in temple with its hand-painted floral ceilings, and heart-shaped shoji screen! Hours: 8:30am to 4:30pm (4pm from November to March). A couple hours north of Tokyo is the town of Nikko, where the founder of the Tokugawa shogunate was entombed in the forested valley. The shrine built to commemorate the Shogun, Toshogu, is unusual among Japanese temples for its lavish and colorful decorations. Brightly painted and intricate decorations adorn the collection of Buddhist and Shinto shrines and monuments that are scattered between the trees. The town also boasts the original three wise monkeys – see no evil, hear no evil, speak no evil – carved above one of the gates of Toshogu. 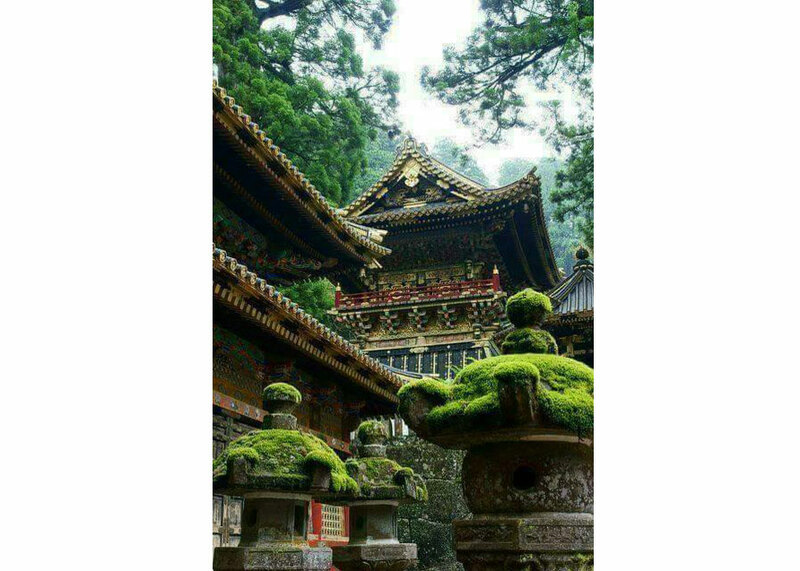 The proliferation of unusual and historic temples, amidst the breathtaking natural surroundings, make Nikko and absolute must visit for your trip to Japan. Which temple would you put first on your itinerary? Let us know in the comments below! Hours: 8am to 5pm (4pm from November to March). See here for more details.